Kunchhal Village of Makawanpur District situated at the distance of 35 kms south west from Chaandragiri, Thankot of Kathmandu and 65 km from Naubise, Tribhuvan Highway. It is 60 km from Kulekhani road. Kunchhal is situated in ward no. 6 of Bajrabarahi village and at present in ward no. 1 of Thaha Municipality and is surrounded by Palung in the east, Chitlang in the west and Tistung in the north. The word ‘Kunchhal’ is derived from a Newari word ‘Kunchaa’ which means a small narrow path. The village used to have a narrow path in past days where people were illiterate and away from facilities. It is believed that this village is settled by the Gwalas (cow herdsmen of Lord Krishna) and the settlement started from the year Nepal Sambat 833, which is prescribed in the historical stone tap situated near the village. 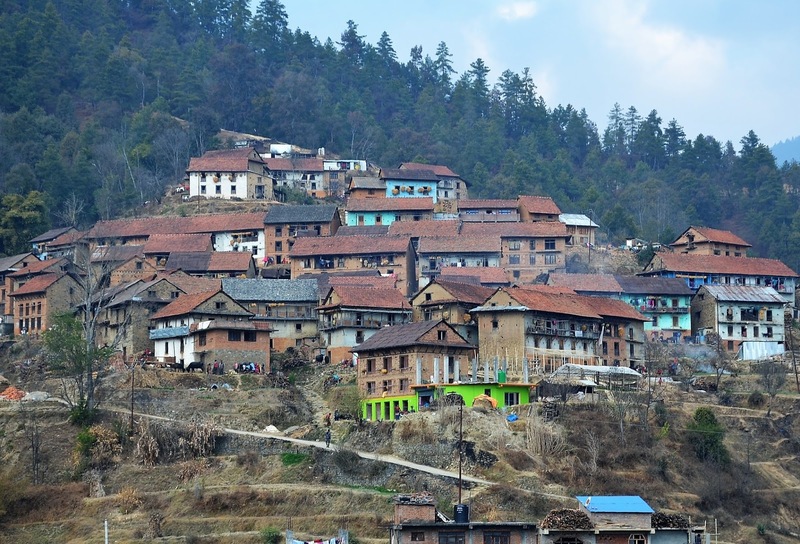 The historical village highlights old stone tap, Ganesh Temple, Gokhureswor Mahadev written in the 64 Piths and old traditional Newari community life styles, Newari festivals, 12 year dances of gods and goddesses and traditional Newari style musical gatherings. Similar, one can enjoy Newari food, alcohol prepared by buckwheat, curd, ghee, honey and organic vegetables. This village is pocket of Kiwi fruits and can find different seasonal fruits and vegetables. We can see the national flower Rhododendron (Laliguras) during spring and different colourful lands during autumn season. The village consists of around 1600 population where 250 houses consists only Gopali ethnic groups. The village is worth to visit and enjoy the nature and culture. Kunchhal being situated 10 km far from beautiful man made Indra Sarowar Lake which is 7 km in length and can experience boat ride like in Fewa lake in Pokhara. During winter we can see the mountain ranges from Daman which is 20 kms to the west of this village. Many people visit this place during winter time when it snows in Daman. Village Tourism Promotion Forum (VITOF) - Nepal organized a 1 night/2days FAM trip to Kunchhal of Makwanpur district on February 17 & 18, having a motto “every village must be a tourism destination”. Kunchhal Village has also been declared as a tourism destination by Nepal Tourism Board. The trip was supported by Nepal Tourism Board (NTB), Trekking Agencies Association of Nepal (TAAN) Nepal Mountaineering Association (NMA), Gurung Tourism Entrepreneur’s Association (GTEA) and community home stays and local clubs. Similarly, representatives from DDC Makwanpur, Thaha Muinicipality of Makwanpur, Nepal Tourism Board, Cultural Experts, Private Sectors, Chitlang Community Home Stays were present during the official opening of the program. The govt. officials as well as experts highlighted and stressed on the importance of preserving the Tangible & Intangible Cultural Heritages of Kunchhal and its surroundings so as to develop it as a tourist destination. Tourists come to see the treasures Tangible as well as Intangible Cultural Heritages of Nepal. Nepal is famous in the world for its diverse Natural & Cultural Heritages. The village people gave a warm welcome to our team offering tika, khada, welcome drinks with their cultural musical instruments. A total of 55 members participated at the program. Each house was divided 5 to 6 people for home stay. Houses of village were made with red mud and woods. The eye structured windows of houses showed an old presence of Newari culture. The villagers presented cultural dance performance like- Lakhey (a demon) dance, King (Kamdev) - Queen Dance that represents Gopali rituals and traditions. Ram Prashad Sapkota, the President of VITOF – Nepal stated that VITOF has chosen Kunchhal as the next tourism product among the 3 villages of Nepal in this year. Speaking at the occasion he said “Kunchhal Village has a high potentiality to attract tourist with its overwhelming nature and culture. The tourism package includes a 3 day trek from Chitlang to Kulekhani viewing the best view of nature.” He aware the villagers about home stay which can be initially started with least investment where they can make a proper management and utilization of locally available ingredients. “Village tourism is an important aspect to uplift economic development of local people” he added. TAAN President Nava Raj Dahal articulated the importance of village tourism. Villages not only have income source from agriculture but are capable of Village tourism by developing home stay practice utilizing the locally available ingredients. Similarly, he said language also plays a vital role so, the local must be provided trainings. The tourism package can include cycling tour, hiking and trekking which can attract tourist. District Mayor Ram Krishna Thapa enlightened the potentiality of Agro tourism at Kunchhal village. He said infrastructural development and trainings is must in order to increase the flow of tourist in the upcoming year. He also stated to get a handful support from all local people for developing Kunchhal Village as a tourism destination.